It’s been a while since I’ve done a tutorial or video. 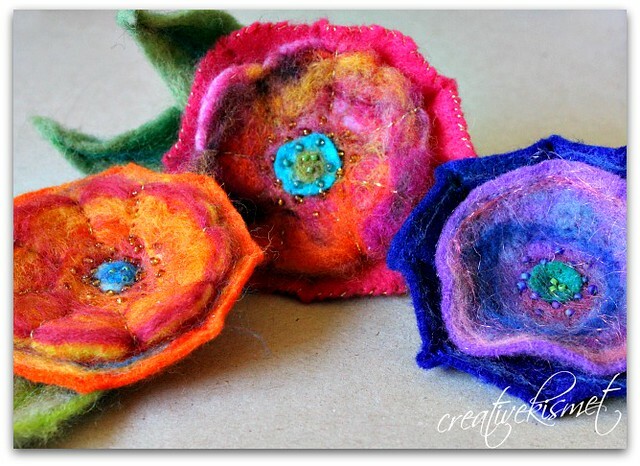 I had made my own version of a felted flower a few weeks ago and thought it would be fun to share how I made it. The flowers above will be featured in this first video and tomorrow I will share how I made the petaled flowers. * Be very careful with your fingers. Felting needles are VERY sharp! * Adding beads to your flowers is optional. They can be omitted all together, or just a single bead can be added to the center. 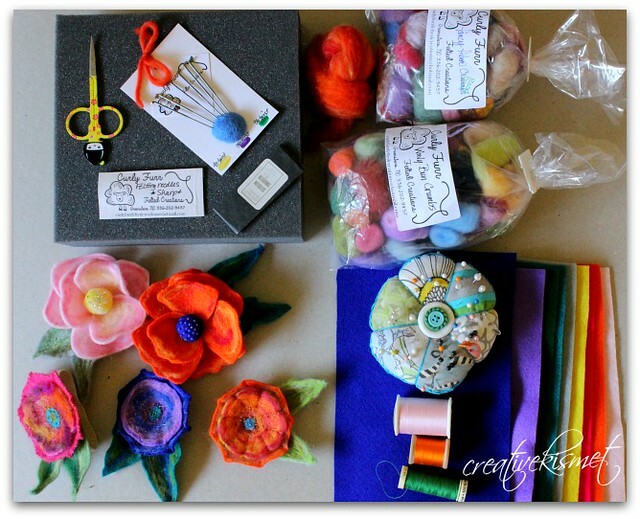 * Small visible holes may appear in felt as you needle felt. They will shrink as felt rests. Smaller gauge needle (40g) will also help to keep holes less visible. Thank you for watching and stay tuned for flower number two! Please leave any questions in the comments section and I will answer them the best that I can. What a lovely tutorial! Thank you for sharing! I am thrilled to find your videos! I have made a lot of felt flowers, but wanted to try something different. 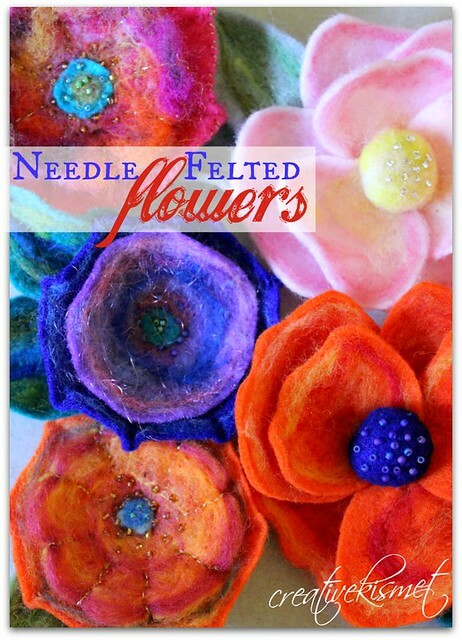 Your needle felted flowers are just what I’ve been looking for. I can’t wait to order some supplies and give it a whirl. By the way, your videos are beautifully done.